Don't let its small size fool you. 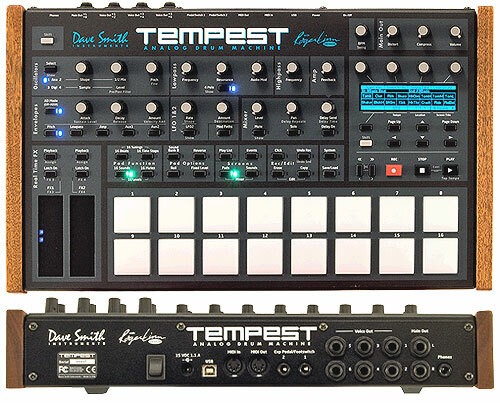 The Prophet 12 Module boasts the same power and sound as the Prophet 12 Keyboard. Each of the Prophet's twelve voices is composed of a brand new hybrid digital/analog architecture that sounds different than any other DSI line of synths, yet retains the true Prophet vibe. With a humongous twelve voice polyphony, sophisticated architecture, and sleek design, the Prophet 12 is ready to handle any sound in any setting. 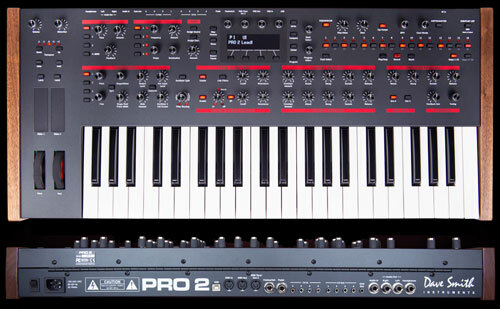 The Prophet 12's brand new hybrid voice has a digital front end followed by an all analog signal path output. 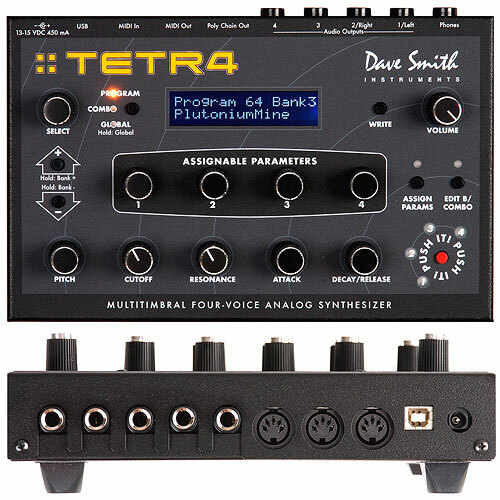 Each voice has five high resolution digital oscillators, a digital character effects section, a resonant Curtis low-pass filter, a high-pass filter, a tune-able feedback circuit, a four-tap delay line with feedback per line, four loopable five-stage envelope generators, four syncable LFOs with slew and phase offset, a sophisticated arpeggiator, and a sixteen slot modulation matrix with 26 mod sources and 97 modulation destinations. The Prophet 12 Module is packed with a plethora of sonic potential and power! Frequency and amplitude modulate the oscillators with incredible accuracy. Freely assign oscillators in whatever operator and modulator configurations you choose. You can even assign each of the oscillators to modulate LFOs, envelopes, and filters. The Prophet 12 Module's streamlined interface invites quick and easy control of every parameter on the synth. 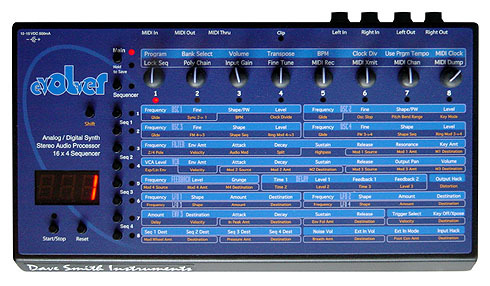 Each synth section can be selected at the press of a button with every parameter editable from the crisp OLED display. Easily create modulation assignments using the Assign Mod buttons. Dedicated Low and High Pass Filter potentiometers provide quick and smooth control of the filters. 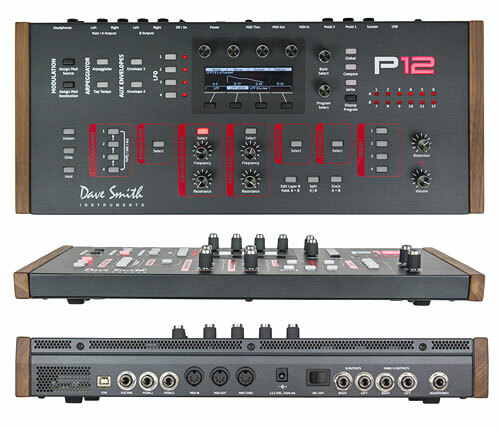 The Prophet 12 Module has a rugged steel enclosure and is equally at home on your desk, in your rack, or on stage! An extensive MIDI implementation covers every available parameter on the synth and you can easily pair it with your favorite MIDI controller or DAW. The Prophet 12 is the most cutting edge hybrid synthesizer on the market and defines what a modern polyphonic synthesizer is. Designed and manufactured in San Francisco, the Prophet 12 Module has a glorious combination of form and function in a sturdy, portable and elegant build. Dave has been a pioneer in the field for 35 years. 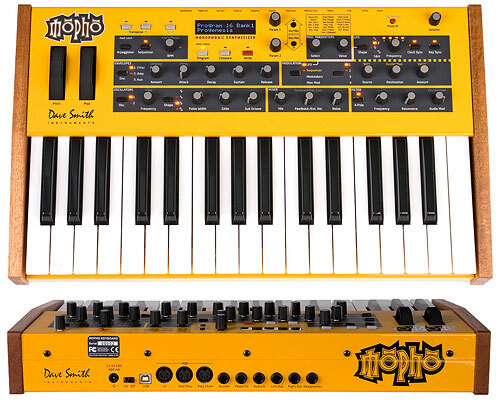 After creating such greats as the Prophet-5, '08, and VS, this is his favorite Prophet yet!